You don’t need a degree in veterinary medicine to rescue a dog. But, whether by choice or necessity, you’ll end up learning at least the basics of canine health. Transmit ehrlichiosis (or tick fever), a bacterial infection. Once it reaches chronic stage (the case of most ferals or long-time strays), the damage to the dog's entire physiology is irreversible—and, eventually, fatal. Ehrlichiosis destroys platelets, which results in decreased coagulation. Surgery on a dog positive for ehrlichiosis is a bad, bad idea. Anti-tick / -flea products (we swear by NexGard here). Antibiotics for the infection; in severe/urgent cases, vitamin K as a bloodclotting aid. Cause allergic reactions which produce hair loss and itchy/red skin patches. Also transmit intestinal parasites; nourishment and medication prescribed orally will only partially make its way into the dog’s system. Anti-tick / -flea products like NexGard or Frontline. Skin allergies will go away once the fleas are gone (special shampoos may soothe skin). Deworming medication to get rid of intestinal parasites. Skin issues, irritation. Two types: skin-eating and blood-sucking. Usually seen only in extremely unsanitary conditions (dogs rescued from garbage dumps, etc.). Anti-tick / -flea products may work if they contain fipronil and/or selamectin. Check with your vet to make sure. A sneaky, silent, progressive killer. Larvae, transmitted by mosquitoes, enter the bloodstream and lodge in the larger vessels of the cardiovascular system and in the heart, eventually multiplying and causing serious damage—and often irreversible, even after the parasite is eliminated. As with ehrlichiosis, a dog diagnosed with heartworms is a poor candidate for any kind of surgery. Varies according to the severity of the case (and the overall health of the dog). Here in Curaçao it usually involves three Immiticide injections, given a month apart (the 3rd one 24 hours after the 2nd one). They’re very painful, not just the shots as such (they’re given after injecting a preparatory pain med) but also the effect of the drug itself, which lasts between six and twelve hours. Affects the intestines, attacks white blood cells; survivors often end up with long-term cardiac issues. Very contagious, especially through contact with infected feces. If you suspect a dog might have parvo (not eating, vomiting, bloody diarrhea), be sure to disinfect any of your skin that came into contact with him/her (with alcohol), the soles of your shoes and any other non-organic surface (with bleach), and wash your clothes with a fabric-safe but powerful disinfectant. And make sure your dogs at home are current on their vaccines. Attacks respiratory and nervous systems; especially in later stages, you’ll see seizures, paralysis, hobbled walking, nervous “tics”, hysteria. Very contagious (it’s an airborne virus). As with parvo, disinfect everything that might have come into contact with a potentially infected dog, and make sure your own dogs are up to date on their vaccines. Being viral, no cure is available for either parvo or distemper; treatment relies on controlling symptoms and boosting the dog’s immune system: hospitalization, IV drip, antibiotics, anti-vomit meds, anti-seizure meds, etc. During treatment and until declared otherwise by a vet, any dog infected (or suspected of being infected) with parvo or distemper must be isolated from other dogs. If you’re caring for the dog, you need to disinfect yourself, your clothes, shoes, watch, jewelry, steering wheel, car upholstery, door handles, etc., before having contact with other animals. If the case is too advanced and the dog does not respond to treatment, euthanasia is the most humane resolution; parvovirus and distemper, left on their own, end in a horrible, painful death. Meet Mighty. Don't be fooled by the photo, though. His story is a happy, happy one—and you can read it here. Highly contagious to other dogs and humans. Mites burrow through skin causing intense itching; the scratching is what produces the symptoms (hair loss, scabs, rashes, etc.). The dog must be isolated from other dogs. If you’re caring for him/her, be sure to wash hands and all exposed skin as well as clothes thoroughly before coming into contact with other animals. Treatment, which typically lasts several weeks, includes scabicide drugs, injected and/or in shampoo, and sometimes oral medication. The younger the dog, the more effective (and fast-working) the treatment will be. Non-contagious. 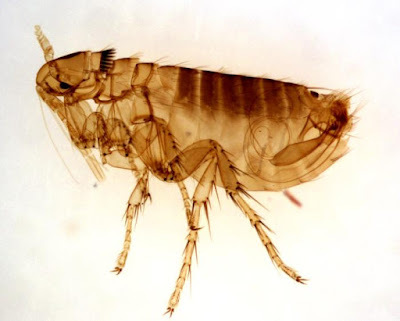 Demodectic mange mites are normally present in a dog’s skin and only become a problem when population becomes too large (apparently a genetic issue). May be localized, which is common in puppies and will resolve itself naturally, or generalized, which tend to become more severe (dramatic hair loss, skin wounds from scratching, etc.). Due to its genetic nature, demodicosis is treated very differently from sarcoptic mange: scabicides won’t work, but other dips or shampoos may help soothe irritation (and prevent excessive scratching, which is 90% of the problem). Treatment is usually long-term; months instead of weeks. In strays or feral dogs, it’s most often a consequence of parasites, whether internal or external. The vet will probably prescribe extra vitamins along with a diet rich in specific nutrients. Build-up on teeth is typically grotesque in older dogs, to the point where painful gums prevent him/her from eating. Professional veterinary tooth cleaning. Unless the dog is positive for tick fever or heartworms; those need to be treated first, to prevent dangerous blood loss or respiratory problems under anaesthesia. Mostly seen in senior dogs. 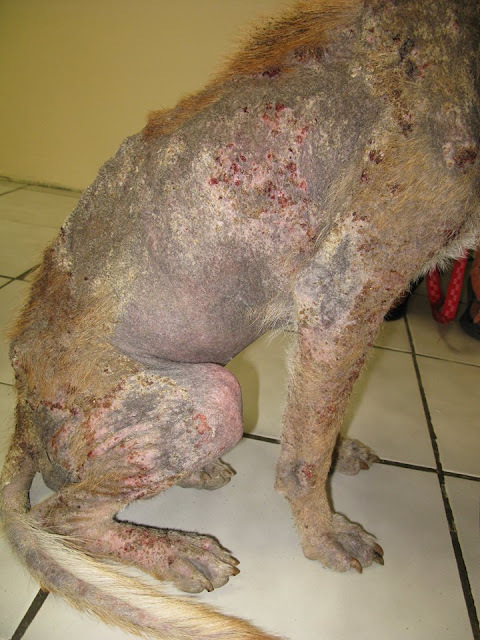 Why are so many homeless dogs rescued in such deteriorated health? They don’t have any more susceptibility to illness, or genetic weaknesses, or physiological deficiencies than family dogs; they might even have less. But this post is long enough. Come back on Q day and we'll talk about it. Have a wonderful weekend, you wonderful people! Thanks, Guilie. More invaluable information which I, for one, am finding incredibly useful. Thank you, Keith! I'm so, so glad. I think health is the one main reason I'm afraid to get a pet. I don't know the first thing about what signs to look for in a dog or to know if he's having problems. Same goes for a cat, and a cat usually gives you less indications when it's sick. I know what you mean, Jeffrey... It's kind of like a baby (I imagine); when they're so small and they keep crying and you have no idea what's wrong. Although I guess in the case of a baby at least you have the crying to go by. Yeah, we really really wish dogs (and cats) could speak. I was always more concerned about Patches health than my own. She couldn't voice her aches and pains. Near the end my heart broke as she fought to stay with me. She died in my arms and I wouldn't have wanted it any other way. God, I still miss her! I hear you, Yolanda. She must've been so happy to have you by her side, and I'm sure you gave her a perfectly wonderful life. It takes a certain kind of person to 'tune in' to an animal's state of health, and it sounds like you did just that. Thanks for coming by, and for sharing this bit about Patches. Parvo. When I was a kid (1980) we got a puppy that was part border collie/part handsome stranger (probably a lab). My parents weren't seasoned dog owners and money was tight. Anyway, our sweet puppy, Hershey, didn't get the vaccination for parvo. And she, of course, got parvo. Our vet was fairly confident that she would die (though he never said that outright). She wasn't able to eat or drink, so she was brought in daily for massive fluid injections to keep her hydrated. When my mom would leave he'd say, "If she's still alive, bring her back tomorrow." Well, my mom learned one hell of a lesson about puppy vaccines the hard way. The good news is that she did live through it. The vet says we loved her through it. As I said, he really didn't think she'd live. She was always the most loving dog. Really the best dog ever. She always wanted to please. I think the parvo affected her eyesight, though. She never did see well. If I pulled up in an unfamiliar car, she'd bark ferociously from the yard. As soon as I said something, she'd quit. So that told me her eyesight just wasn't good. If there's anything I'd say to a puppy/dog owner it is this: Get the shots. If you can't afford the shots, you can't afford the dog. 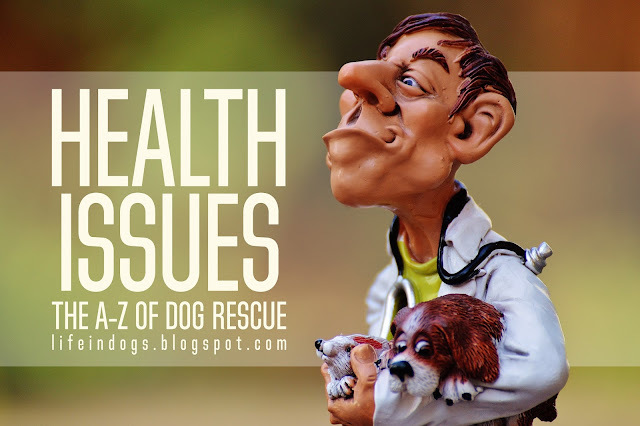 Good grief - who knew there were so many potential diseases and health problems with dogs! Thank you for the detailed information and treatment for these common health issues. I had heard of most, but not always the symptoms. Glad you found it useful, Tracy — and thanks for coming by! Thank you for another amazing post!! Thanks Guilie, a wonderful post also highlighting what humans must do so as not to spread the infection. Rabies? Another awesome post Guilie! When I met my sweet Bella, she had absolutely no hair due to the mange she suffered. A lot of the greyhounds have tick-borne diseases. Poor babies, there's so much bad out there for them. That's why they need loving caretakers and loving homes! See you next week. Enjoy your day off!! Another interesting post. I always feel so sorry for dogs when I see their health isn't as good as it should be.